Do you know someone who gives endlessly of their time, energy or other resources to help make Robina amazing? Is this person rarely recognised or appreciated as much as they should be? 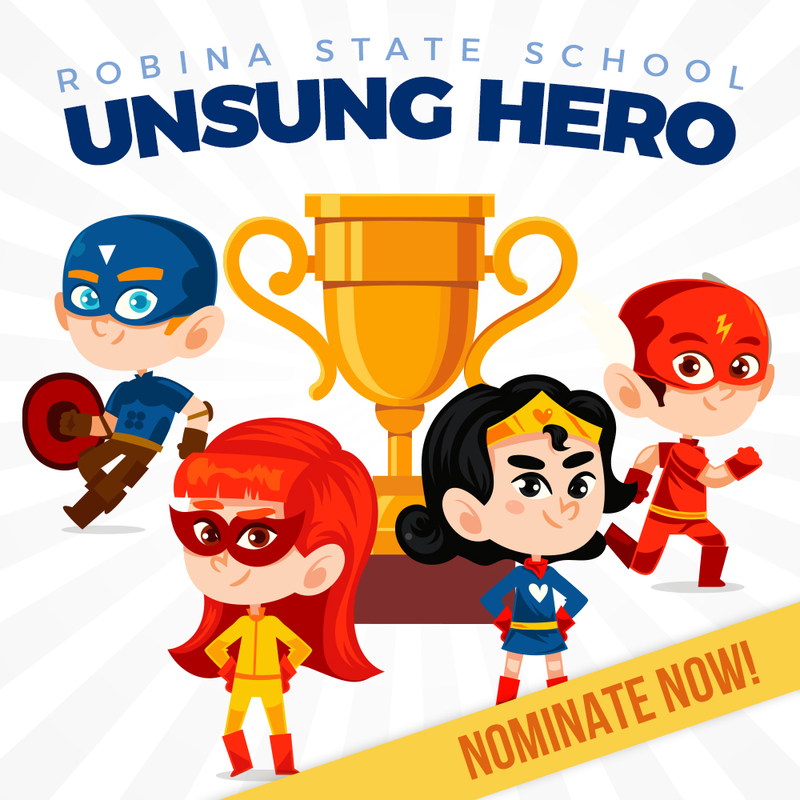 Complete the nomination form and tell us who your Robina Unsung Hero(es) is/are! Yes, you can nominate more than one person – we want to shine the light on all the amazing people in our school community for the wonderful contribution they make (or have made in the past)! But you don’t need to nominate the same person multiple times – it is not based on the number of nominations, but on the contribution they make / have made to our school. Nominations will be anonymous, and we will award one (or more!) unsung hero awards each term, as determined by the Principal and P&C President. Winners will receive a certificate, great prizes donated by local businesses, and most importantly — be formally recognised for their invaluable and selfless contributions to our school!